Our location in Columbia is conveniently located near Irmo and serving the greater Columbia area. We also specialize in placing special orders to customize your jewelry and make it something to cherish for generations to come. 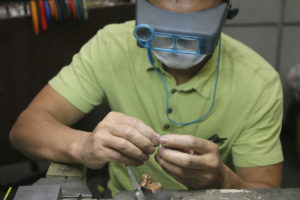 Schedule Jewelry Repair today! Rings, bracelets, necklaces, earrings and more! 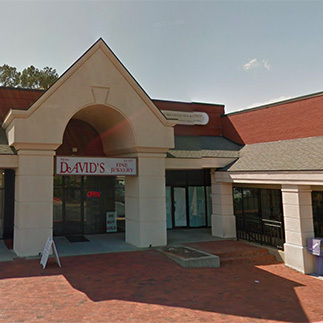 David’s Fine Jewelry resident metalsmith is available for customers in Columbia, SC to meet all your Jewelry Repair needs. Do you have broken jewelry? We’ll provide an estimate for repair. 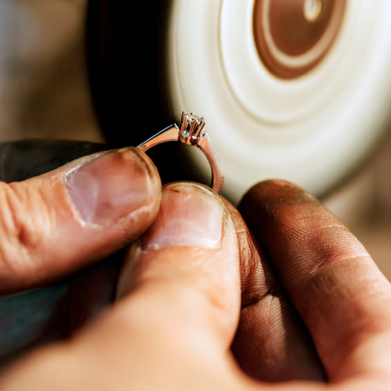 Let us restore your jewelry to how you like it! Meet with Matt Baughman and discuss your needs. Visit our store on St. Andrews Road. Work with Matt to order the jewelry you want. Do you have a ring that is too big or too small? Let us make it the right size. New or broken chains, single earrings, and old rings. Bring your gold and we’ll weigh it and write a check! Stone replacement and basic soldering. We can repair it!